This is a bit of an unusual post for me but nonetheless fun to do. I got together with Jasmine from Sweetaholic Beauty and we decided to do something for Valentines day. We came up with doing something that is out of the box for us. Jasmine has done the outfit and makeup and she looks super cute, just like a barbie doll. You can read her post here. In my post today I am going to share with you my Valentines day Manicure and the hairstyle I personally think is really cute for this special day. Without further adieu lets get into it. For my manicure I wasn't sure how it would turn out on my really short brittle nails so I thought of using a nail wheel instead. That way at least there was more room to work for me. I must admit that I am a little allergic to Acetone and thus stay away from nail polishes, also I am not allowed to wear it to work. Anyways this was the perfect opportunity for me to get creative with nail art. Hopefully you guys like it. I used Strawberry Icecream as the basecoat on my first three nails. The Satin nail polish on the fourth and tried mixing the Satin with the white to create a cracked effect on the fifth nail but that failed. For the hearts and dots I used a Bobby Pin. Yes! a bobby pin is all the tools you will need. To create the heart on the first nail I dotted the heart out with the bobby pin using the dark pink nail polish. Then I just filled it in with the same nail polish. For the second nail I just added three coats of Pink Champagne to give that gorgeous glitter effect. For my third nail I drew the hearts using the same bobby pink and a silver nail polish. I just felt like leaving one nail bare but wanted it to be a different colour, so my fourth nail is painted using the Satin nail polish. For the fifth nail I wanted to do this cracked texture but it failed and so to cover it up I used my dotting tool (bobby pin) and drew some dots. I think if I could wear nail polish, I would definitely pull this off for Valentines day. 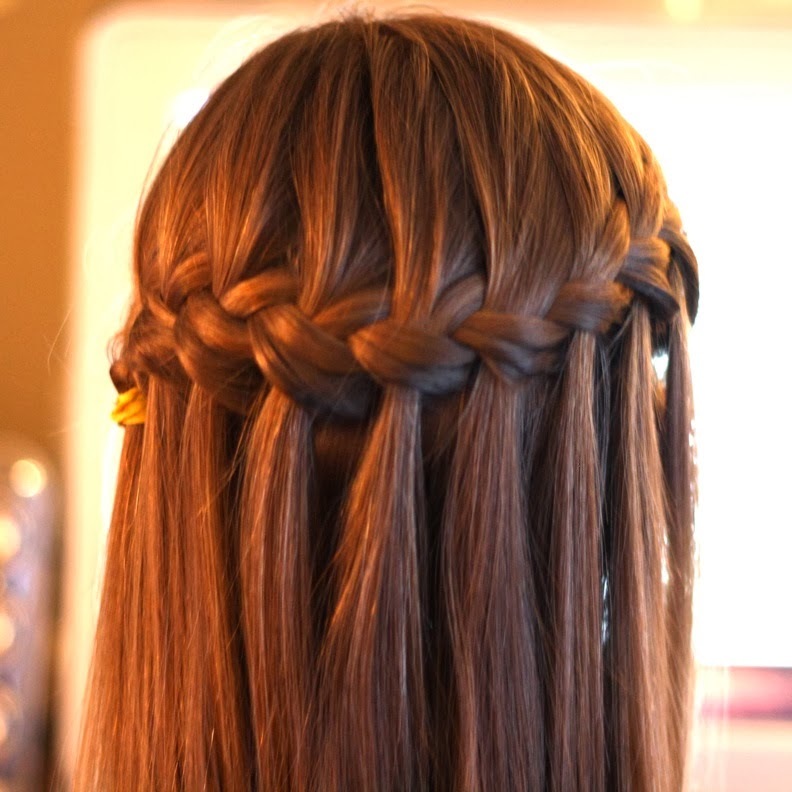 For the Hair style I am really into the Fish Tail Waterfall braid right now and I think it is super cute and girly. It is also not that hard to do. I think I am definitely going to do this hair do for my Valentines day dinner. What do you guys think if the Manicure and Hair do? Too girly or Sweet and fun?? Gorgeous! Love the mani. I never have the patience to do any designs :( Hair is beautiful too! The hair also looks amazing! I loved the look you put together and everything went really well together.